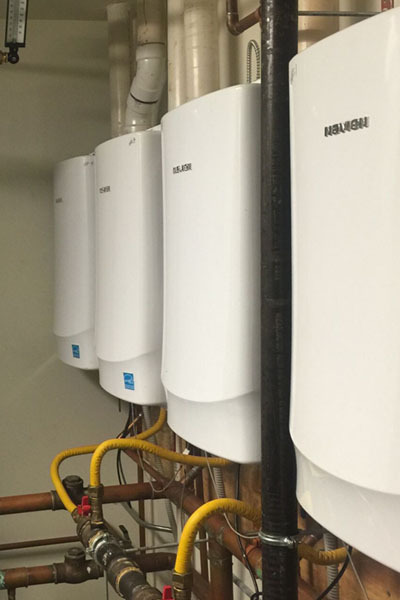 Tankless water heaters are a great solution especially for bigger families, where several people take a shower in the morning, and with tank based heater there is a danger of getting out of hot water. But it's also good for your wallet. It heats water only when you need it saving energy and time and you will save a lot of space that would be taken by a massive water tank. Tankless water heaters come with 12 to 20 years of guaranty. If your water heater is broken, don't panic. Call our professional plumbers 24/7. We will put your water heater back to work as soon as it's possible and always at a right price.